Could you use a little encouragement? I know I could. Do you need a little faith-based inspiration? I am raising my hand here. 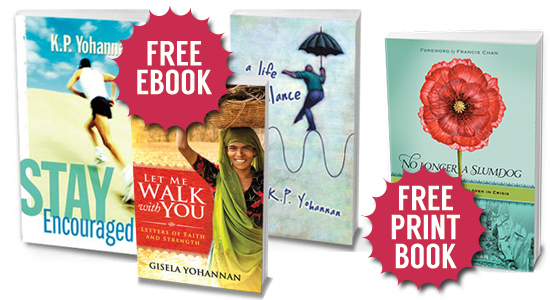 Give yourself the gift of inspiring reading this weekend with free books and ebooks from Gospel for Asia. “How are you doing? Discouragement can sneak in quickly and subtly, through even the smallest things. Learn how to stay encouraged in every season of life, no matter what the circumstances may be.” -from the book Stay Encouraged, by K.P. Yohannan. Get your FREE EBOOK here. “Are you feeling alone or overwhelmed in your journey with the Lord Jesus? 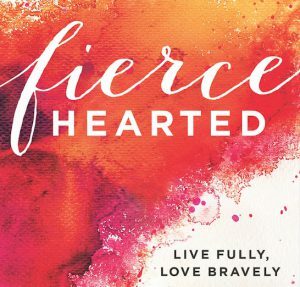 In this volume of letters, originally addressed to women serving on the challenging mission fields of South Asia, Gisela Yohannan shares precious lessons from her own life and insights from God’s Word that will fill your heart with faith and strength, no matter where you are in your walk with Jesus. By His grace, you will make it!” -from the book Let Me Walk With You, by Gisela Yohannan. Get your FREE EBOOK here. “Remember learning how to ride a bike? It was all a matter of balance. The same is true for our lives. Learn how to develop that balance which will keep your life and ministry healthy and honoring God.” -from the book A Life in Balance, by K.P. Yohannan. Get our FREE EBOOK here. “Those with no voice, the suffering children of Asia, tell their stories. And as you listen to them, you share their anguish and rejoice in their triumphs. The world world seems to stop as you look on.” -from the book No Longer a Slumdog, by K.P. Yohannan. Get your FREE BOOK here. Gospel for Asia is spreading encouragement…for free. There are loads of ebooks, audio books, print books on GFA’s site. Head on over get yourself some free books this weekend! Several of the books K.P. Yohannan has written changed my life – Living in the Light of Eternity, Seeing Him, Revolution in World Missions. Thanks for sharing these books! No Longer a Slumdog is one of my favorites! Very inspirational.